Lamb chops, like our recipes for Stuffed Ground Lamb Burgers and Boneless Leg of Lamb, are great ways to liven up your dinnertime routine. 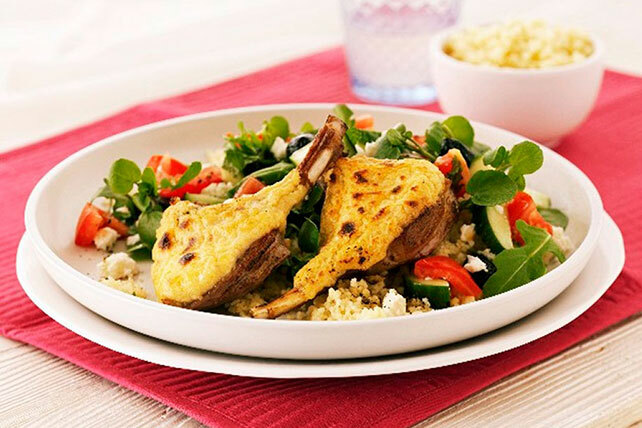 Lamb is generally an under utilized protein, one that is full of great flavor. That means lamb chops are an easy way to turn any day into a special occasion. We guarantee once you serve up lamb chops, the family will be asking for it more often. And don't forget to round out the menu for your special evening with a side dish and a dessert!